The Buryats (Buryat: Буряад, translit. Buryaad; Mongolian: Буриад, ᠪᠣᠷᠢᠶᠠᠳ, Buriad), numbering approximately 500,000, are the largest indigenous group in Siberia, mainly concentrated in their homeland, the Buryat Republic, a federal subject of Russia. They are the major northern subgroup of the Mongols. Buryats share many customs with other Mongols, including nomadic herding, and erecting gers for shelter. Today, the majority of Buryats live in and around Ulan-Ude, the capital of the republic, although many live more traditionally in the countryside. They speak a central Mongolic language called Buryat. According to UNESCO's 2010 edition of the Atlas of the World's Languages in Danger, the Buryat language is classified as severely endangered. It is most likely that the ancestors of modern Buryats are Bayyrku and Kurykans who were part of the tribal union of the Tiele. The Tiele, in turn, came from the Dingling. The first information about Dingling appeared in the sources of IV-III centuries. BC. e. The name "Buriyad" is mentioned as one of the forest people for the first time in The Secret History of the Mongols (possibly 1240). It says Jochi, the eldest son of Genghis Khan, marched north to subjugate the Buryats in 1207. The Buryats lived along the Angara River and its tributaries at this time. Meanwhile, their component, Barga, appeared both west of Baikal and in northern Buryatia's Barguzin valley. Linked also to the Bargas were the Khori-Tumed along the Arig River in eastern Khövsgöl Province and the Angara. A Tumad rebellion broke out in 1217, when Genghis Khan allowed his viceroy to seize 30 Tumad maidens. Genghis Khan's commander Dorbei the Fierce of the Dörbeds smashed them in response. The Buryats joined the Oirats challenging the imperial rule of the Eastern Mongols during the Northern Yuan period in the late 14th century. Historically, the territories around Lake Baikal belonged to Mongolia, Buryats were subject to Tusheet Khan and Setsen Khan of Khalkha Mongolia. When the Russians expanded into Transbaikalia (eastern Siberia) in 1609, the Cossacks found only a small core of tribal groups speaking a Mongol dialect called Buryat and paying tribute to the Khalkha. However, they were powerful enough to compel the Ket and Samoyed peoples on the Kan and the Evenks on the lower Angara to pay tribute. The ancestors of most modern Buryats were speaking a variety of Turkic-Tungusic dialects at that time. In addition to genuine Buryat-Mongol tribes (Bulagad, Khori, Ekhired, Khongoodor) that merged with the Buryats, the Buryats also assimilated other groups, including some Oirats, the Khalkha, Tungus (Evenks) and others. The Khori-Barga had migrated out of the Barguzin eastward to the lands between the Greater Khingan and the Argun. Around 1594 most of them fled back to the Aga and Nerchinsk in order to escape subjection by the Daurs. 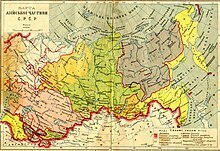 The territory and people were formally annexed to the Russian state by treaties in 1689 and 1727, when the territories on both the sides of Lake Baikal were separated from Mongolia. Consolidation of modern Buryat tribes and groups took place under the conditions of the Russian state. From the middle of the 17th century to the beginning of the 20th century, the Buryat population increased from 77,000 (27,700-60,000) to 300,000. Another estimate of the rapid growth in people referring to themselves as Buryat is based on the clan list names paying tribute in the form of a sable-skin tax. This indicates a population of about 77,000 in 1640 rising to 157,000 in 1823 and more than a million by 1950. The historical roots of the Buryat culture are related to the Mongolic peoples. After Buryatia was incorporated into Russia, it was exposed to two traditions – Buddhist and Christian. Buryats west of Lake Baikal and Olkhon (Irkut Buryats), are more "russified", and they soon abandoned nomadism for agriculture, whereas the eastern (Transbaikal) Buryats are closer to the Khalkha, may live in yurts and are mostly Buddhists. In 1741, the Tibetan branch of Buddhism was recognized as one of the official religions in Russia, and the first Buryat datsan (Buddhist monastery) was built. The second half of the 19th century and the beginning of the 20th century was a time of growth for the Buryat Buddhist church (48 datsans in Buryatia in 1914). Buddhism became an important factor in the cultural development of Buryatia. Because of their skills in horsemanship and mounted combat, many were enlisted into the Amur Cossacks host. During the Russian Civil War most of the Buryats sided with the White forces of Baron Ungern-Sternberg and Ataman Semenov. They formed a sizable portion of Ungern's forces and often received favorable treatment when compared with other ethnic groups in the Baron's army. After the Revolution, most of the lamas were loyal to Soviet power. In 1925, a battle against religion and clergy in Buryatia began. Datsans were gradually closed down and the activity of the clergy was curtailed. Consequently, in the late 1930s the Buddhist clergy ceased to exist and thousands of cultural treasures were destroyed. Attempts to revive the Buddhist cult started during World War II, and it was officially re-established in 1946. A revival of Buddhism has taken place since the late 1980s as an important factor in the national consolidation. In the 1930s, Buryat-Mongolia was one of the sites of Soviet studies aimed to disprove Nazi race theories. Among other things, Soviet physicians studied the "endurance and fatigue levels" of Russian, Buryat-Mongol, and Russian-Buryat-Mongol workers to prove that all three groups were equally able. In 1923, the Buryat-Mongol Autonomous Soviet Socialist Republic was formed and included Baikal province (Pribaykalskaya guberniya) with Russian population. The Buryats rebelled against the communist rule and collectivization of their herds in 1929. The rebellion was quickly crushed by the Red Army with loss of 35,000 Buryats. The Buryat refugees fled to Mongolia and resettled, however, only a few of them joined the Shambala rebellion there. 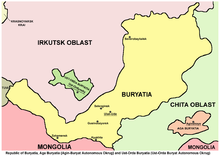 In 1937, in an effort to disperse Buryats, Stalin's government separated a number of counties (raions) from the Buryat-Mongol Autonomous Soviet Socialist Republic and formed Ust-Orda Buryat Autonomous Okrug and Agin-Buryat Autonomous Okrug; at the same time, some raions with Buryat populations were left out. Fearing Buryat nationalism, Joseph Stalin had more than 10,000 Buryats killed. Moreover, Stalinist purge of Buryats spread into Mongolia, known as the incident of L'humbee. In 1958, the name "Mongol" was removed from the name of the republic (Buryat ASSR). BASSR declared its sovereignty in 1990 and adopted the name Republic of Buryatia in 1992. The constitution of the Republic was adopted by the People's Khural in 1994, and a bilateral treaty with the Russian Federation was signed in 1995. The Buryat national tradition is ecological by origin in that the religious and mythological ideas of the Buryat people have been based on a theology of nature. The environment has traditionally been deeply respected by Buryats due to the nomadic way of life and religious culture. The harsh climatic conditions of the region have in turn created a fragile balance between humans, society and the environment itself. This has led to a delicate approach to nature, oriented not towards its conquest but rather towards a harmonious interaction and equal partnership with it. A synthesis of Buddhism and traditional beliefs that formed a system of ecological traditions has thus constituted a major attribute of Buryat eco-culture. Prior to the arrival of the Russians, Buryats lived in semi-nomadic groups scattered across the steppes. Kinship was immensely important in Buryat society, both in spiritual and social terms. All Buryats traced their lineage to a single mythical individual, with the particular ancestor varying based upon geographical region. Relatedness also determined proximity, as neighbors were nearly always close kin. Groups of relatives that inhabited the same grazing land organized themselves into clans based on genealogy. While coalitions between clans did occur, they were infrequent and often relied on looser interpretations of kinship and relatedness. Marriage was arranged by the family, at times occurring as early as one to two years old. A unique aspect of traditional Buryat marriage was the kalym, an exchange that combined both bride wealth and a dowry. Kalym involved a husband exchanging an agreed upon amount of cattle for his bride, while the bride's family would provide dowry in the form of a yurt and other essential household goods. If a husband did not have enough cattle, a period of bride service would be arranged. Polygamy was accepted, however only men of extreme wealth could afford the price of multiple wives. Marriage ceremonies involve rituals such as the bride stoking the fire in the grooms tent with three pieces of fat, and sprinkling fat upon the clothing of the grooms father. The arrival of the Russians saw drastic changes to the way kalym system worked. Money became a significant part of the exchange. As time went on, the price of a bride significantly increased to the point where "in the 1890s, bride price involved '400 to 600 rubles' in addition to 86-107 head of livestock, when 70 years earlier only the wealthiest Western Buryats gave 100 heads (of cattle)." As the situation worsened, many men engaged in multi-year work contracts with wealthy herd-owners under the promise their employer would aid them in attaining a wife. As time went on, the kalym system fell out of favor, and was replaced by marriages based upon courtship and romantic feelings. Buryats traditionally practiced shamanism, with a focus on worship of nature. A core concept of Buryat shamanism is the "triple division" of the physical and spiritual world. There are three divisions within the spirit world: the tengeri, the bōxoldoy, and lower spirits. These spirits are the supreme rulers of mankind, the spirit of commoners, and the spirit of slaves respectively. In parallel to this is the concept that man is divided into three parts: the body (beye), the "breath and life" of a man, and the soul. The soul is further divided into three parts: first, second, and third. The first soul is contained within the entirety of the physical skeleton, and that damage to it damages the soul. Rituals involving the sacrifice of animals involve great care not to damage the bones, lest the deity receiving the offering reject it. The second soul is believed to have the power to leave the body, transform into other beings, and is stored in the organs. The third soul is similar to the second, differing only in that it's passing marks the end of ones life. Three and multiples of it are deeply sacred to the Buryat. Examples of this numerology include three major yearly sacrifices, shamans prolonging the lives of the sick by three or nine years, the total number of tengeri being 99, and countless other examples. Shamans are divided into two classes: "great" shamans of arctic regions and "little" shamans from the taiga. Shamans often are associated with nervous disorders, and in some cases are prone to seizure. Shamans can also be divided into "White" shamans that summon good spirits and "Black" shamans that summon malicious ones. Yellow shamanism refers to shamanistic practices that have been heavily influenced by Bhuddism. Shamans exist to heal, especially in regards to psychological illnesses.Buryat shamanism is not necessarily hereditary, and other members of the kin-group can receive the calling (however, shamans do keep records of their lineage, and a descendant is preferred). Shamans can both contol and be controlled by spirits. It should be noted that there are variances in belief between different traditional groups, and that there is no exact consensus on certain beliefs and practices. For example, Western Buryats along the Kuda river believe in reincarnation of the third soul, likely a result of their exposure to Buddhism. Religion today in the Republic of Buryatia is primarily divided between Russian Orthodoxy, Bhuddism, and irreligious. Shamanism has undergone a revival in rural areas since Soviet repression, however it is still small. Those that practice shamanism practice either Yellow, Black, or a mixture of the two. Traditionally, the Buryats were semi-nomadic pastoralists. Buryat nomads tended to large herds of cattle, sheep, goats, and camels. Buryats also relied greatly on local resources to supplement their diets. Following colonization by Russia, pastoralism was gradually replaced by agriculture. The Buryat of today are largely agrarian, with rural populations retaining their ancestral subsistence pattern. Haplogroup N-M178 is found mainly among the indigenous peoples of northern Eurasia (Yakuts, Finns). Among Buryats, haplogroup N-M178 is found mainly in the east. Haplogroup C3d (M407) is found mainly among the northern and western Buryats, Kazakh Khongirad, Soyots and Hamnigan. Mongol states in the 14th to 17th centuries. According to the Buryat creation myth, there were 11 Buryat tribes or clans. And according to the myth all 11 tribes are descendants of a man and a mysterious but beautiful creature that turns to swan during day and a woman during the night. After the two married, the man asked her to give him her wings so that she would not turn into swan anymore. However, it is said that after some time the woman asked for her wings back and flew away never to return. Today there are a number of different Buryat tribes, or clans. Also see (in Russian) List of Buryats in Russian Wikipedia for more articles. ^ "Invalid id". Ethnologue.com. Retrieved 2012-08-13. ^ "UNESCO Atlas of the World's Languages in danger". www.unesco.org. Retrieved 2019-04-19. ^ Kyzlasov, Leonid (1989). Древняя и средневековая история Южной Сибири (в кратком изложении). Пособие для учителей истории. Abakan. p. 58. ^ Bowles, Gordon T. (1977). The People of Asia, pp. 278–279. Weidenfeld and Nicolson, London. ISBN 0-297-77360-7. ^ Bowles, Gordon T. (1977). The People of Asia, p. 279. Weidenfeld and Nicolson, London. ISBN 0-297-77360-7. ^ a b c d NEWYEAR, TRISTRA (2009). "'Our Primitive Customs' and 'Lord Kalym': The Evolving Buryat Discourse on Bride Price, 1880—1930". Inner Asia. 11 (1): 5–22. ISSN 1464-8172. ^ Khangalov, M. (1958). Sobranie sochinenii, torn I & II [Collected Works, vols. 1 & 2]. Ulan-Ude: Buriatskoe knizhnoe izdatel'stvo. p. 57. ^ "Coming Together:Buryat and Mongolian Healers Meet in Post-Soviet Reality". www.culturalsurvival.org. Retrieved 2019-04-19. ^ ""Arena: Atlas of Religions and Nationalities in Russia"". Sreda. 2012. Shimamura, Ippei. The Roots Seekers: Shamanism and Ethnicity Among the Mongol Buryats. Kanagawa, Japan: Shumpusha Publishing, 2014. ISBN 978-4-86110-397-1. 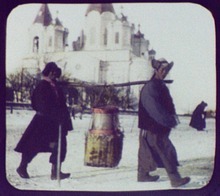 The film A Pearl in the Forest (МОЙЛХОН) illustrates the heavy price paid by the Buryats in the 1930s during the Stalinist purges. Mitochondrial DNA variation in two South Siberian Aboriginal populations: implications for the genetic history of North Asia. Wikimedia Commons has media related to Buryat people. Wikisource has the text of the 1911 Encyclopædia Britannica article Buriats. This page was last edited on 19 April 2019, at 06:15 (UTC).